We’ve gotten to see and do a lot of things in the month since we landed here in Italy, but the one place that has monopolized our conversations and has us plotting our return would definitely have to be our visit to Rifugio Dolomites- Monte Rite. 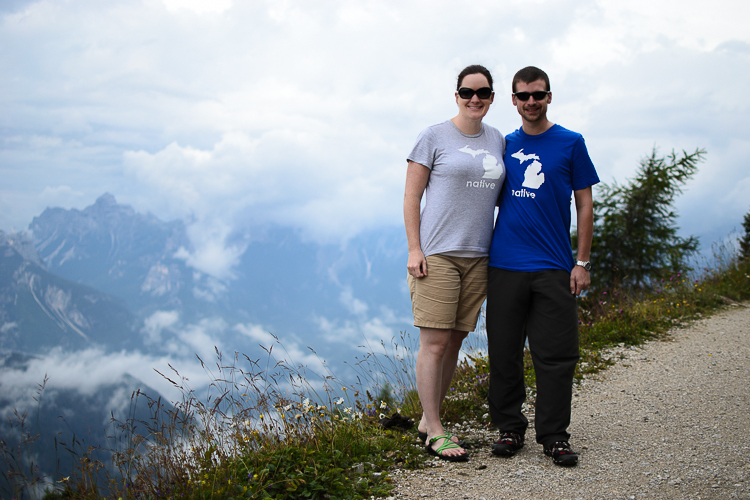 Back home in Michigan we do a lot of backpacking, hiking, and camping, so a hike in the Dolomites was a no-brainer. We just needed to make it happen as soon as possible. One of the many differences between hiking here versus hiking back home is that typically people stay in rifugios here instead of tenting or hammocking like we do. 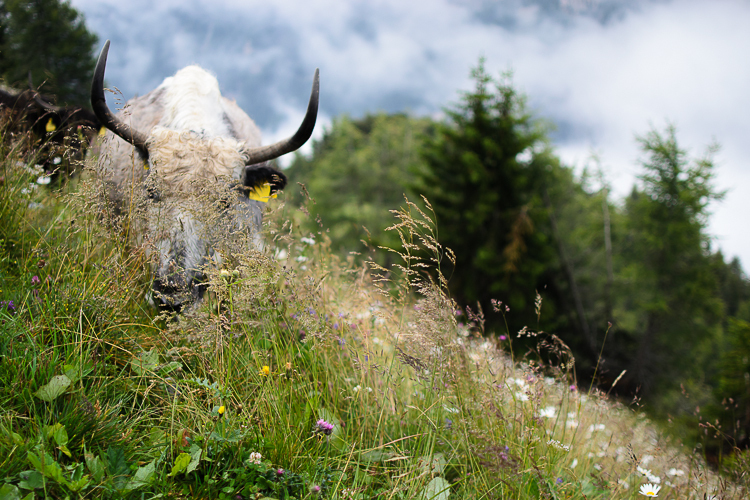 What exactly is a Rifugio? Glad you asked. I did a lot of research prior to coming to Italy, so we had a pretty good idea what they were, but once we got there, we realized just how much better and wonderful it was than we ever expected. A rifugio is what they call these “mountain huts” that are situated along trails all over in the Dolomites. Some are larger than others, some are easier to reach than others. 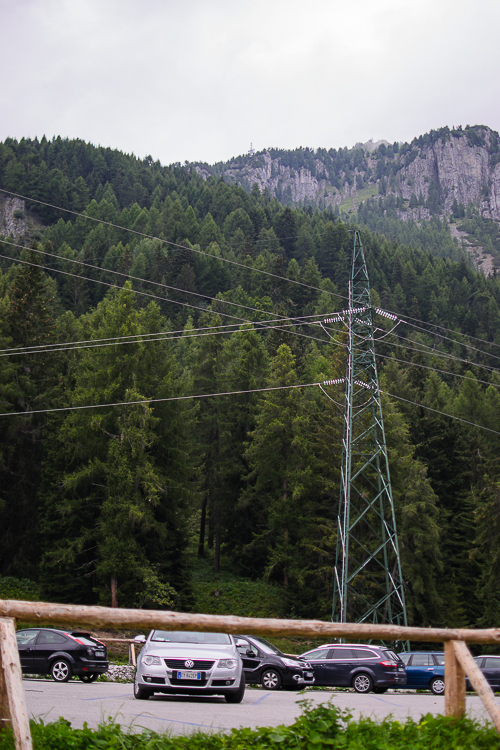 We loved Rifugio Monte Rite because it suited any hiker’s needs. 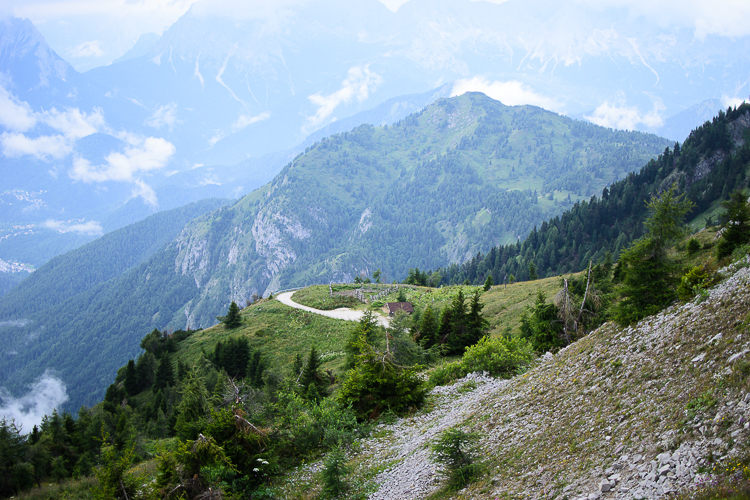 The trail from where we parked up to the rifugio was 7 km of switchbacks climbing up to the top of the mountain. It took about 2- 2 1/2 hours at a rather leisurely pace. (Admittedly, the elevation difference makes me rather short of breath so we took quite a few breaks.) The views were incredible. For those who don’t have the time/ambition/gear to do a hike, there is a shuttle available that will take you to the top of the mountain and drop you off at the Rifugio Monte Rite for a fee of 12 Euros round trip. 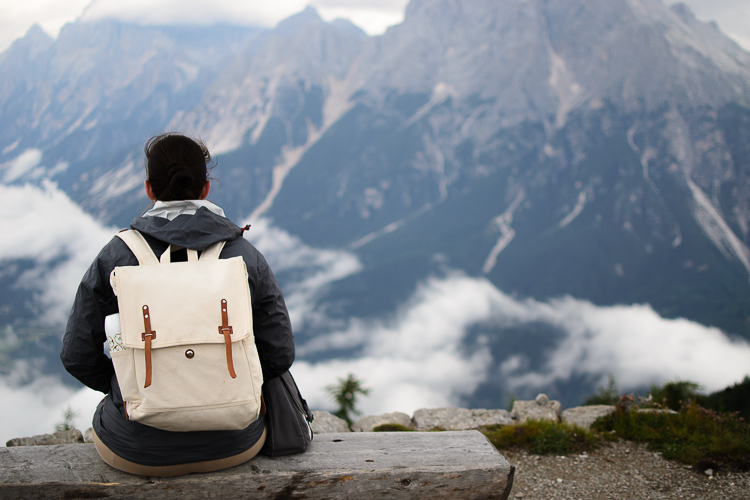 Well worth it if you’re not an avid hiker. We took the mountain trail for our hiking route, but a lot of people just walk along the gravel road that the shuttles drive on, which would be a bit easier as the inclines are more gradual, and you’re not battling the mudslide-like conditions if it has been raining as much recently as it had been for us. Lots of people take the trip just for the day, have some lunch, then go back down the mountain. 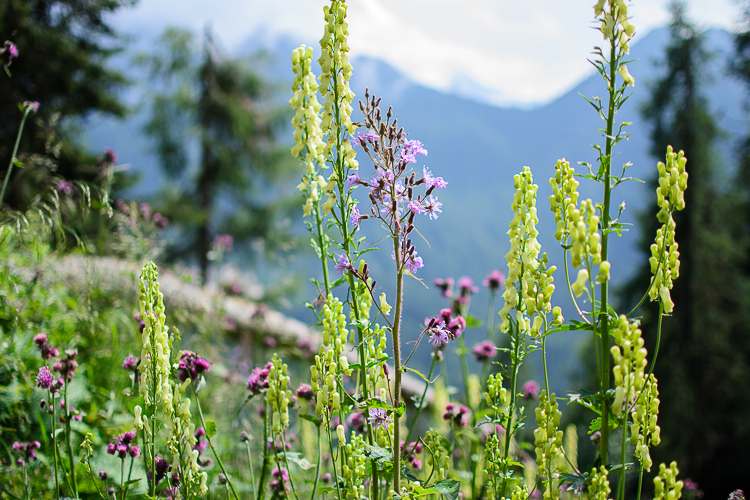 While that sounds great, you’re missing out on quite a wonderful experience of actually hiking in the Dolomites and staying in a Rifugio. Rifugios, while they’re called “mountain huts” are certainly not what one would think of when they envision a hut. 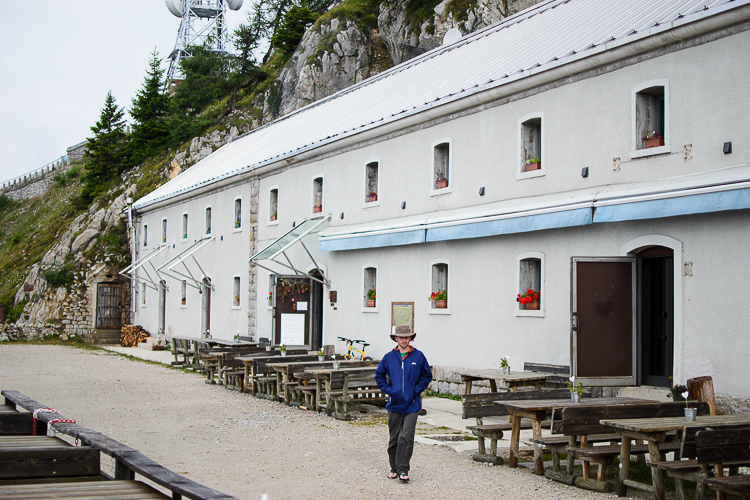 Rifugio Monte Rite is a large cement building with a metal roof that makes a soothing pitter patter in the rain. There is a little bar that serves coffee drinks as well as alcoholic beverages, and a variety of snacks and sandwiches at any time. There is a charming dining room with a pellet wood stove in the corner filled with tables for those who visit for lunch or dinner, or just for a place to play cards with your friends after dinner. 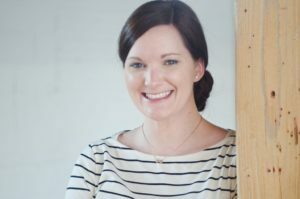 Their menu is impressive, especially when you consider what it must take to get the ingredients up there, which is why they try to use as many ingredients they possibly can from the mountain and their immediate vicinity. I’ve got to tell you, in all of my hiking trips I’ve ever done, I can’t even begin to express how incredibly wonderful it was to be able to pack a super light backpack, hike to the top of the mountain, and be met with a nice bed with a hot shower, and the promise of hot food at a table for dinner. It beats eating macaroni while sitting on the dirt any day…and don’t even get me started about sleeping on the ground. Europeans have a great things going with these rifugios. Our room was a private room with a private bathroom. 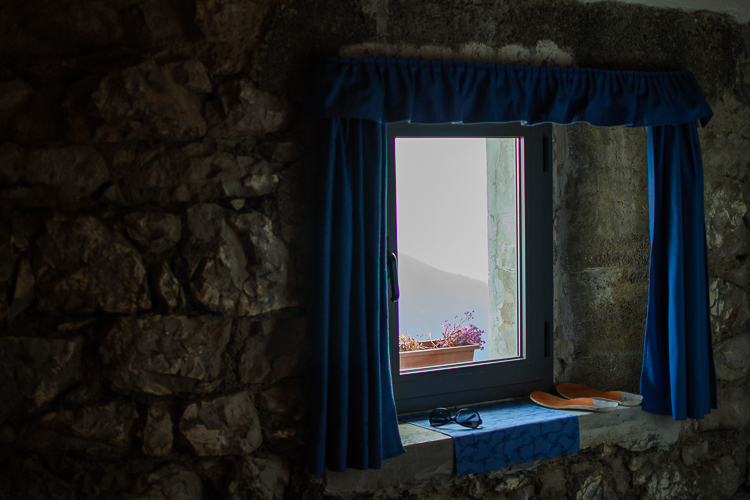 We had a cute little window looking out onto the mountains with a flower box on the windowsill. So cute. We enjoyed a panini al formaggio (amazing cheese on freshly baked whole grain bread) when we arrived– just a little something to tide us over until dinner. We weren’t sure what to expect for dinner in the dining room, but we were excited for whatever they might be serving. By the time we went downstairs to the dining room for dinner, the staff was gathered around a long table enjoying a family style meal, and they had our table all set for us. We browsed the menu for several minutes before deciding to share 3 items. The food was INCREDIBLE. It wasn’t strictly Italian by any means. If I had to describe it, I would say it was a hybrid between Italian, French, and homestyle “mountain” food. Pastas with rich and wonderful sauces, hearty stews, creamy polenta, and the most incredible dumplings I’ve ever tasted. I would go all the way back there for dinner in a heartbeat. 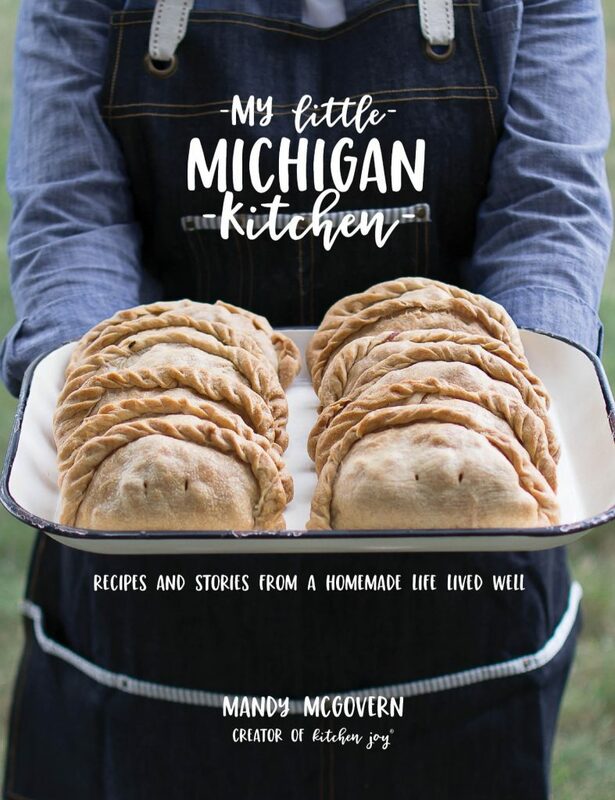 It is like what you would expect if you had to ride on a dogsled to get to your parents house in the middle of nowhere in the winter, and your Mom had been slaving in the kitchen all day in preparation for your arrival. 1. Make a reservation via email through their website- http://www.rifugiomonterite.it/inglese/opening-and-contacts. You will pay for your reservation at the end of your stay. They keep track of all of your food throughout your stay and you just pay all at once at the end before you leave. 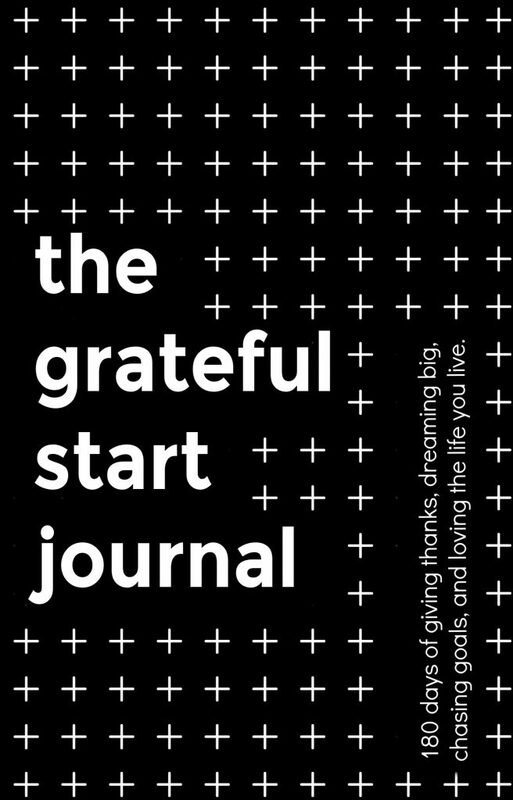 It is very nice and easy. 2. Pack some clothes (bring a few layering pieces as it gets cold up there), snacks for the trail, a change of shoes if you are hiking (sandals are great), toothbrush, toothpaste, shower essentials (shampoo and soap are not provided), and something good to read. 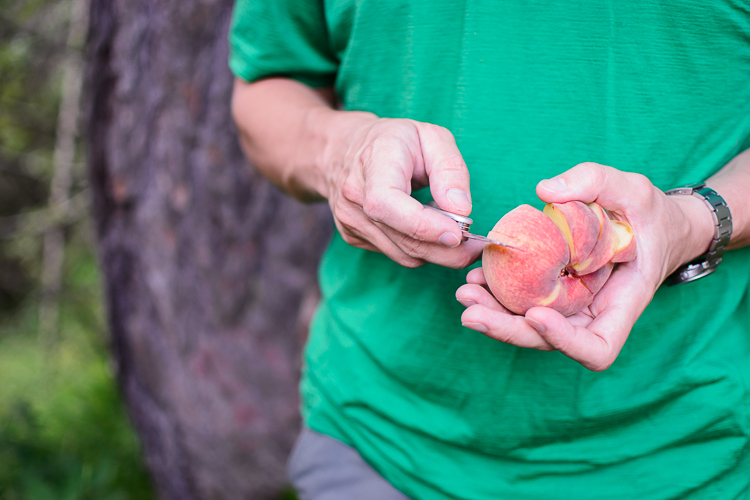 White peaches, the greatest trail food ever. 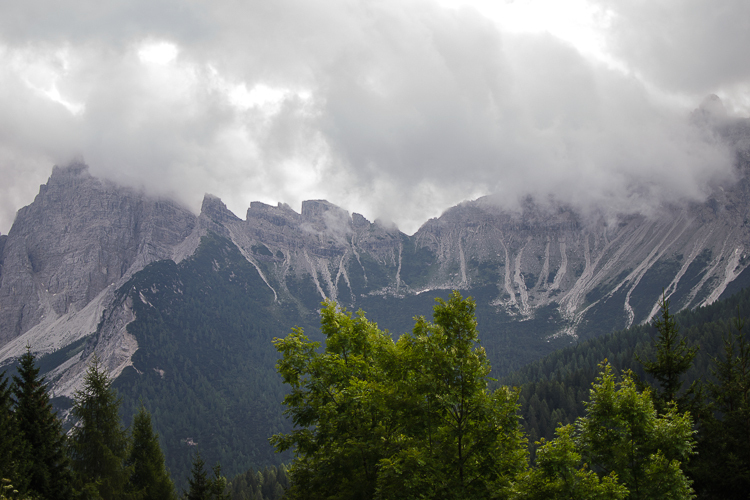 View of mountain from Cibiana Pass parking lot. Rifugio Monte Rite is on the top of the mountain near the tower you see where the mountain meets the sky. 4. If you are hiking: Choose if you’ll hike along the gravel road, or if you’ll take the rustic mountain trail. 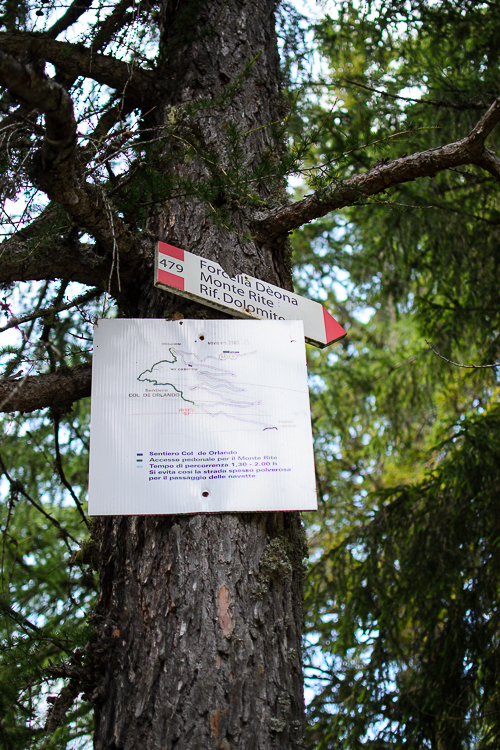 Either way, you’ll start by heading up the gravel road, following the arrow-shaped red and white signs pointing to Rifugio Monte Rite. After several minutes of walking along the gravel road, you’ll reach a bend in the road and there is a sign leading to the mountain trail. Please be careful if you choose to take the mountain trail. If you haven’t hiked much, or if you don’t have a lot of drinking water with you, I would encourage you to walk along the gravel road to the top. That way you’ll have the shuttle passing by periodically if you have trouble for any reason. The mountain trail isn’t terribly long, but it is a bit precarious, as it is very steep in places, and if there has been recent rain it is VERY slippery and muddy. 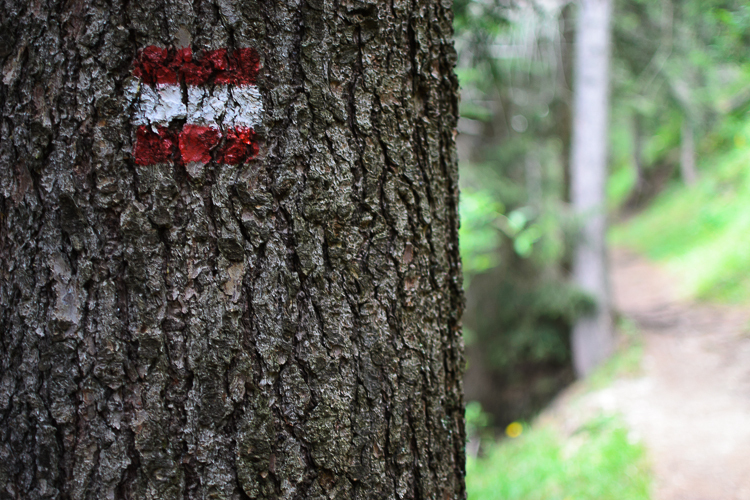 On the mountain trail, you’ll just follow the trail marked with the red and white markers painted on the trees (or sometimes on rocks) until you meet back up with the gravel road near the top of the mountain, then you just follow the gravel road up to the Rifugio Monte Rite. This is the sign where the mountain trail breaks off from the gravel road. 5. Take lots of pictures, and eat lots of food. Most of all, just enjoy yourself and the beautiful scenery! There is also a museum at the top of the mountain if you would like to visit. 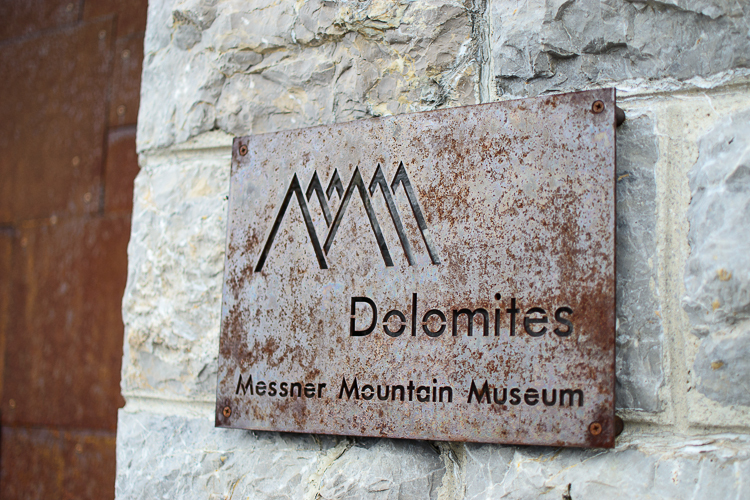 It is called the Messner Mountain Museum, and it features a lot of art done by Dolomite climbers, and accounts the history of the trails and the various climbers throughout history in the area. The museum has a lot of mountain art and also some hiking items from history The old boots and gear were really neat to see. A whole herd of Yaks came to visit after breakfast.